"The giant spider of Liverpool arrives at the city hall, wakes up after a sleep and, in some dramatically speeded up footage, crawls up a building to rest. 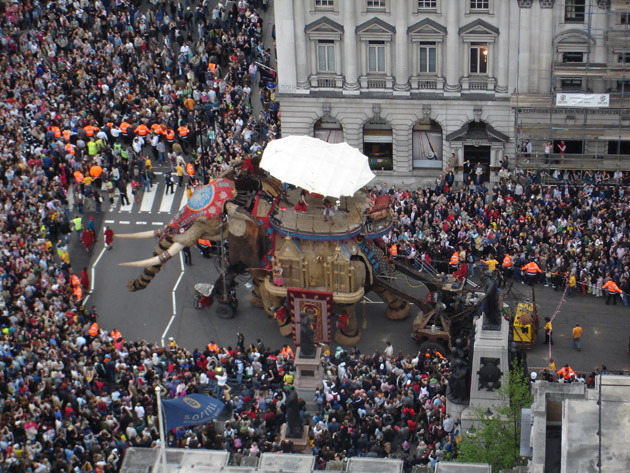 "If art is about transformations, there is no more transforming experience than The Sultan's Elephant, a large–scale outdoor free spectacle produced by French company Royal de Luxe. 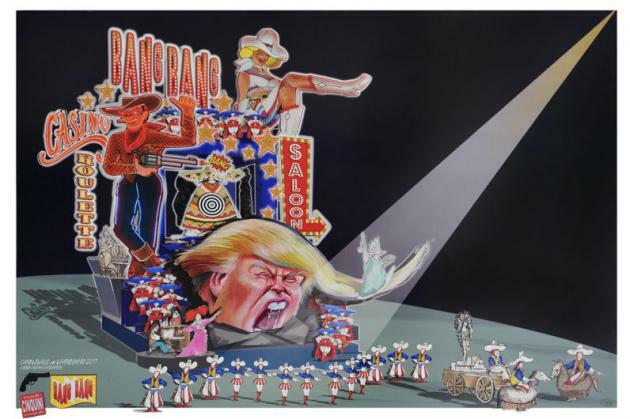 This is a show that disrupts the spectacle of everyday life and transforms the city from an impersonal place of work and business into a place of play and community. It does something very simple and important: it makes you feel incredibly happy and it gives you permission to let your imagination take flight. It turns us all into beautiful dreamers with silly grins on our faces."